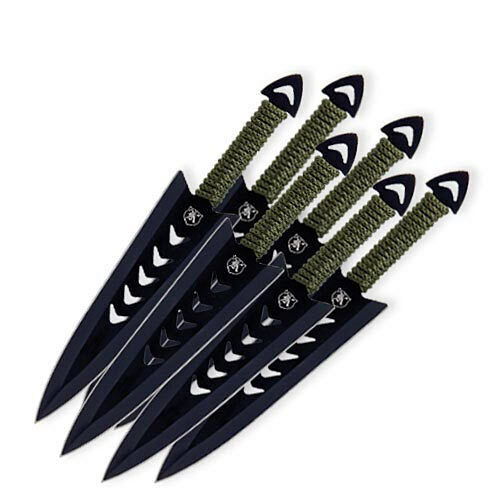 6 Piece Wicked Warrior Throwing Knife Set | BUDK.com - Knives & Swords At The Lowest Prices! Each of these 6 1/2" thowers is flat black and well balanced for a mean look and a good throw. These compact throwers are easy on the wallet, and fun to throw. Complete with nylon leg sheath for easy storage and carry. 4" blade. 6 1/2" overall.